The Czech company Skoda is one of the five oldest car companies in the world. Despite the communist regime in Czechoslovakia, their cars were widely sold in Western Europe after the Second World War. The real success, however, began after the velvet revolution of 1989. Nowadays Skoda is more popular than ever before. Therefore, if you are looking for the best way for a rear window replacement for your Skoda, you are certainly not the only one. At a brand dealer this can be an expensive affair, but we offer much cheaper prices. 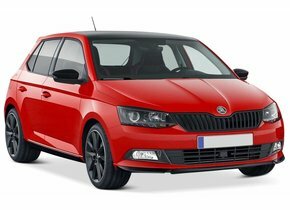 In this article we will tell you more about the possibilities we offer to replace your Skoda rear window. We also tell more about the special history of this car brand. Around 1898, men began to take an interest in motorcycles. At the time, these means of transport were new and very unsafe. That's why they started to develop this vehicle further. The Slavia was made and marketed in 1899. The Slavia is nowadays also seen as one of the first motorcycles. The step from motorized bikes to cars was made quickly and in 1905 the first cars of Laurin & Klement appeared. The Voiturette A became a success and their name as automakers was definitively established with it. the name giver of the car brand as we know it today, was a manufacturer of mainly ammunition and rifles. In addition, his company Skoda Works, founded in 1859, also made trains, steamboats, airplanes and engines. When Laurin & Klement got into financial difficulties, partly because of the burning down of a factory, Skoda Works took over the car company. 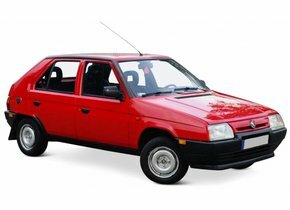 From that year on, the cars were sold under the name Skoda. The success under the new leadership came quite smoothly. In 1933, Skoda had only a 14% market share in Czechoslovakia. In 1936, Skoda became the market leader and in 1938, 39% of the newly sold cars were manufactured in their own country by Skoda. Of course, the Second World War had a major impact on the car company. Skoda was used by the German occupiers in the war years to produce military vehicles and components. The bombing of the allied forces caused great destruction. Almost all of Skoda's buildings were destroyed and more than 1,000 employees lost their lives. After the Second World War, the communist government transformed the company into a state-owned company. Although this went well at first, the quality of Skoda cars fell rapidly and there were no necessary innovations. Skoda got a bad name abroad and the low prices made for a cheap image. The velvet revolution of 1989 put an end to communism in Czechoslovakia. The vast majority of state-owned enterprises were privatised again. For car maker Skoda, this was a very important moment. The government went looking for a strong partner to rebuild Skoda's bad image and make it profitable. The German Volkswagen Group showed interest and won the concession from Renault. Despite the anti-German sentiment that still prevails in the Czech Republic in those years, the choice for Volkswagen soon proved to be the right one. 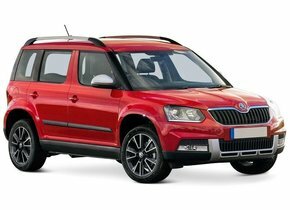 Where Skoda cars received poor consumer ratings in the past, this changed quickly after Volkswagen took over Skoda. The design and decoration of various models were tackled and the sales figures shot up. The image has improved considerably, especially since 2000. Skoda then launched a series of ironic advertisements in which employees of the company itself reacted with surprise to the high quality of the vehicles. This proved to be an excellent move, because slowly but surely Skoda as a car brand was taken seriously by consumers. This was of course also due to the excellent cars that were put on the market after the takeover by VW. 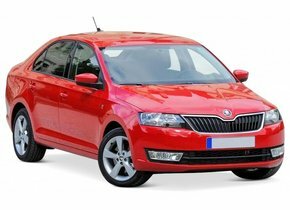 The Skoda Felicia achieved excellent sales figures, but the Fabia and the Octavia in particular were and still are a hit. Both models were made on the basis of Volkswagen undercarriages. The very economical cars also combine relative luxury and plenty of space with a competitive price tag. The positive valuation is also reflected in the customer assessment. 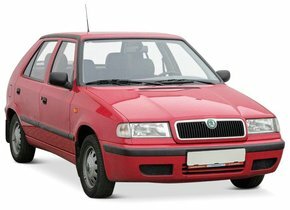 While this was often very bad for 1990, Skoda was seen as one of the most reliable and beloved car brands from the late 1990s onwards. Sales figures ranged from 172,000 cars in 1994 to as much as 1.2 million in 2017. Skoda cars are now sold in more than 100 countries and are now regarded as economical and very reliable. When should I replace the Skoda's rear window? The rear window replacement of the Skoda is quickly required when it breaks down. The rear window can break due to a hard impact, for example due to an accident or vandalism. Rear windows are almost always made of tempered glass. This consists of a single layer of glass that has been heated quickly and cooled down quickly. As a result, although the car windows are very strong, they break up into thousands of pieces with a hard impact. However, this is safer for occupants as the small pieces of glass can cause considerably less damage than large fragments. 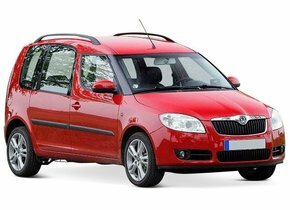 What are the costs for a rear window replacement of a Skoda? The cost of a Skoda rear window replacement varies. The price depends on, among other things, the model you have. There are also rear windows with for example dark tinted glass, also called privacy glass. These are often more expensive than car windows without options. Rear window replacement without paying any own risk is possible when your insurance company refers you to an certified expert. When you turn them on through us, the car mechanics will remit the own risk up to 150 euros at the rear window replacement of your Skoda. 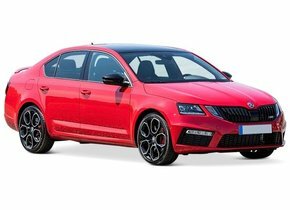 In all cases, however, it goes without saying that replacing the rear window of your Skoda via us is considerably cheaper than via a brand dealer. Only brand dealers are initially allowed to sell automotive glass with a brand logo. This allows them to make the price higher than necessary on the basis of their expenses. With us you can replace the rear window of your Skoda with an after market car window. These are of exactly the same high quality and come from the same factory. In the absence of a brand logo, other parties are also allowed to sell these car windows. As a result, the price we apply is considerably more advantageous for you. This also applies to the windscreen replacement of a Skoda. 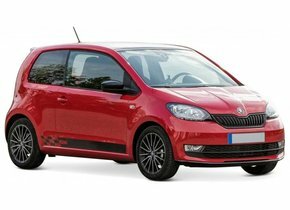 In addition, it is possible to do the rear window replacement of your Skoda yourself when you purchase the car windows from us. Many other vehicle glass companies do not supply car windows without mounting, but here it is possible. In addition, simply order the necessary rubbers and frames for the car window. Your order will be shipped quickly, but it is also possible to pick up the car from one of our partners. Do you not have the knowledge to replace the rear window of your Skoda? Then count on the expertise of our certified partners. They carry out the car replacement on location at a competitive price. 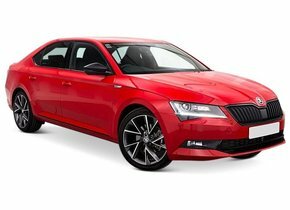 Do you want to get back on the road quickly and safely with your Skoda? Then count on our excellent products and services.